In this video tutorial we will show you how to create animation in Photoshop. Go to the “File” menu and choose “New”. In the following window set the document properties and press “OK”. 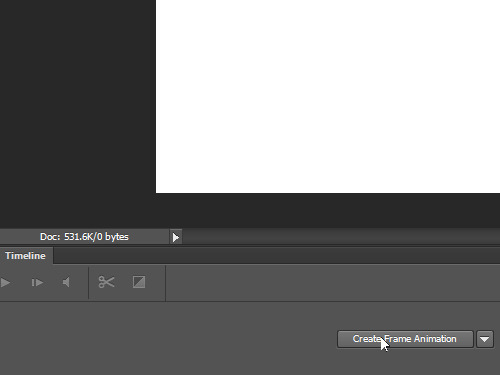 Then switch to the “Timeline” tab at the bottom of the program window and press “Create Frame Animation”. 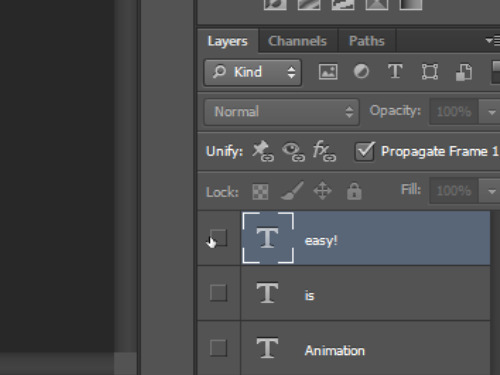 Now choose the “Horizontal Type Tool”. Type some text and format it to your preference. Type another portion of text with “Type Tool”. Repeat the process for the third portion of text. 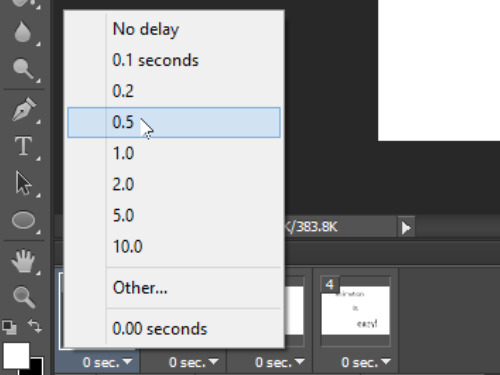 Click the “Duplicate selected frames” icon on the timeline to create the same amount of frames, as the number of layers in our project. Select the null frame and hide all layers, except the “Background” layer. 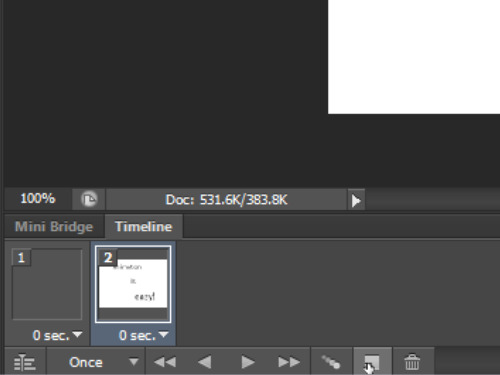 Select the next frame and make only the “Background” and the first text layer visible. Select the next frame and hide the third text layer. In the last frame leave all layers visible. Go to the time line and set the delay time for each frame. For example, half a second. Then set the looping settings to “Forever” to display the animation continuously. Click “Play animation” to see the result. Now save your animation in one of the supported formats, for example, “GIF”. Go to the “File” menu and choose “Save for Web”. In the next window set the file options and click “Save” or press “Enter” on the keyboard. In the following window select where to store the file and click “Save”. Now lets check the result by opening the file in the Internet Explorer. The animation is successfully created.